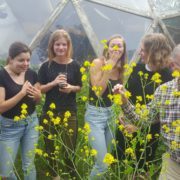 This year we created 2 semesters for the Green Student Bootcamp Challenge 2017 programme in order to cover an extended growing season and to give more students the opportunity to take part. 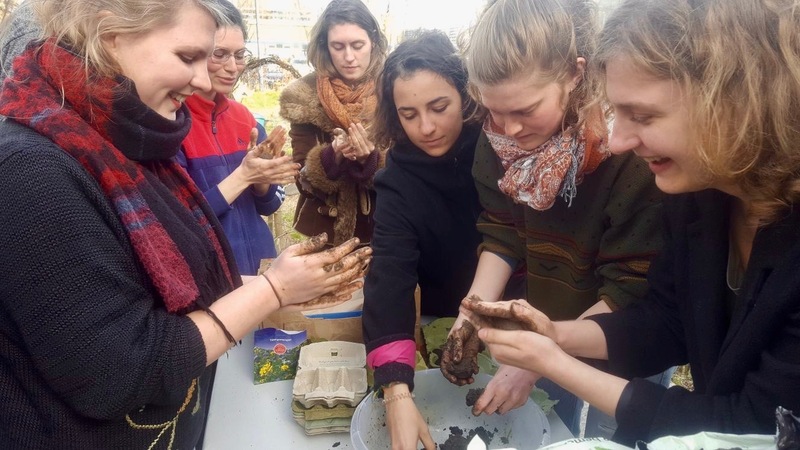 It’s now possible to sign up for our autumn semester, beginning on Friday 8 September with a worm hotel workshop by Le Compostier so you can experiment with recycling your organic waste at home. 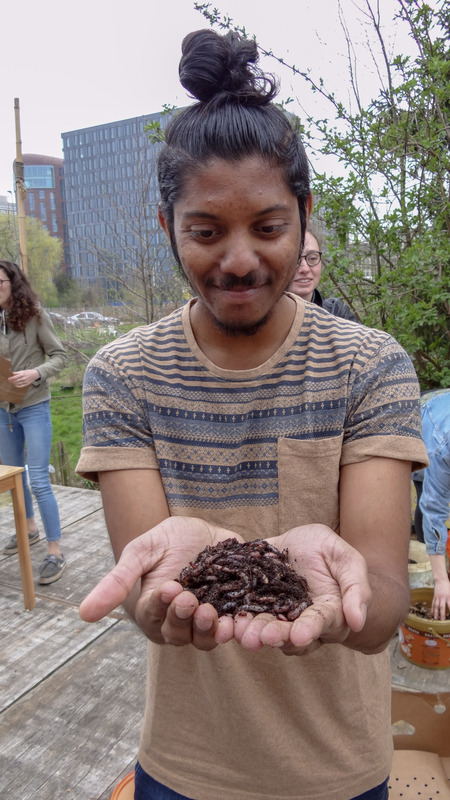 Spring Action: Our spring semester included 5 sessions with experts on themes including germination and growing plants at home for food, sowing seeds in the city for people, plants & pollinators, permaculture, biophilic design & integrating nature with urban planning, tiny homes, a creative cooking action with rescued “ugly veggies”, and lots of time was spent learning to observe natural patterns and processes in our organic garden. 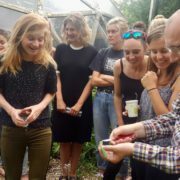 With help from spring semester students our organic garden is now packed full of veggies and we look set to enjoy a bumper harvest when making vegetarian food for the students’ graduation party on 6 October. Summer Challenge: Green Student Bootcamp Challenge students have been given several challenges to complete over the summer months that can be completed wherever they are. 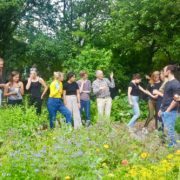 One of our summer challenges is a collaboration with the crowd acting platform CollAction, where students are tasked with organising their very own crowd action project, to be completed in September. We’re looking forward to seeing what the students decide to do in order to effect positive social action. Autumn: Our autumn programme includes sessions with experts on composting, life in the soil, growing mushrooms at home, how to take initiative, textile recycling, the circular economy, smart use of urban natural resources including rainwater, a tour of an innovative green roof & The Co-creation Challenge, where students will work together to create functional beauty at the Green Living Lab location. The autumn semester has 5 sessions on Friday afternoons (14.00 – 17.00) on 8, 15, 22, 29 September & the graduation day takes place on 6th October. Applications: All university students are welcome to apply, from all study disciplines. Cost: €35 per student for 5 sessions (the entire autumn semester) or €9,50 per student for individual sessions. 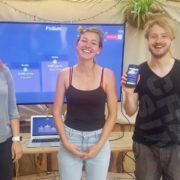 If you’d like to participate we’d love to hear from you! 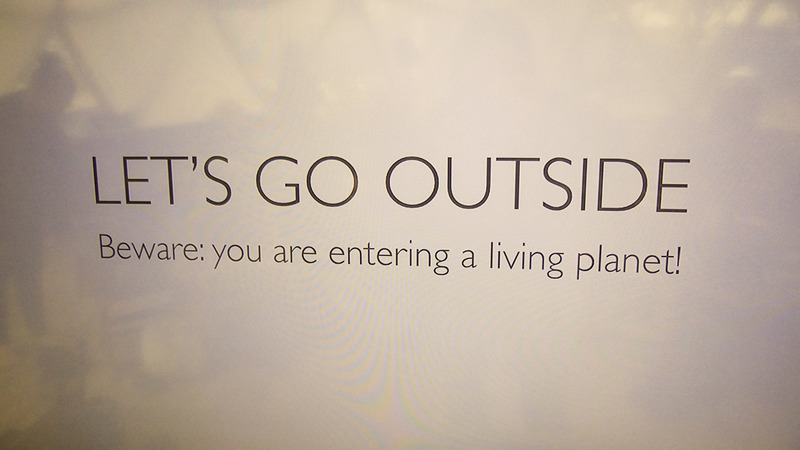 Just email us at info@greenlivinglab.org for info on how you can join the Bootcamp party! 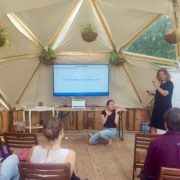 Mooie beeld van de sfeer van ons ‘Green Student Bootcamp Challenge‘ onderwijsprogramma vorige jaar, gemaakt met liefde door deelnemende VU student Lea Grosse. 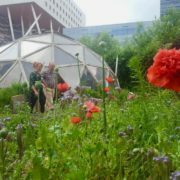 Ons 2017 programma wordt gelanceerd op vrijdag 12 mei & wij nodigen universiteitsstudenten uit om hen plekjes nu te reserveren. 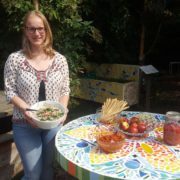 Inspirerende partners in 2017 zijn inclusief Youth Food Movement Nederland, Le Compostier & meer! 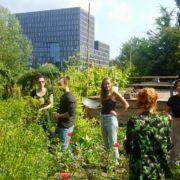 Lovely impression of the vibe during our ‘Green Student Bootcamp Challenge‘ education programme last year, made with love by participating VU student Lea Grosse. Our 2017 programme will be launched on Friday 12 May & we are now welcoming university students to get in touch to reserve their places. 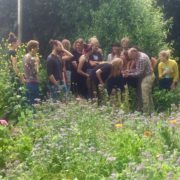 Inspiring partners in 2017 include Youth Food Movement Nederland, Le Compostier & more! 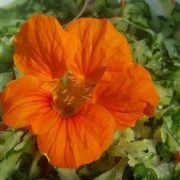 http://greenlivinglab.org/wp-content/uploads/2017/04/GSBC-Spring-rolls.jpg 684 1024 GLL http://greenlivinglab.org/wp-content/uploads/2016/02/logo_340-01-01.png GLL2017-04-19 14:27:372017-04-19 16:33:40Green Student Bootcamp 2017! 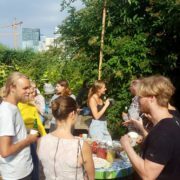 The Green Student Bootcamp Challenge Netherlands Tour visits Utrecht on Friday May 17th, and Green Office Utrecht are our hosts! 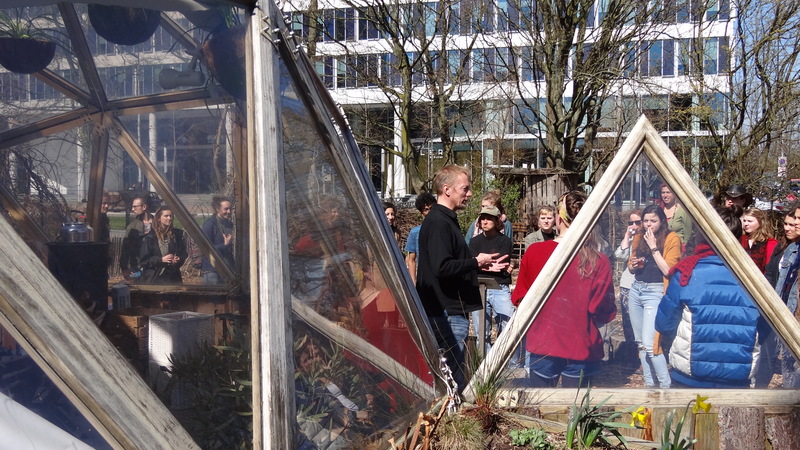 Together, we have planned an inspiring session including forests and mycelium, a grow-your-own oyster mushroom challenge and a meeting with circular entrepreneurs making profit from waste. 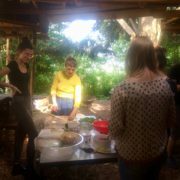 Tiny Forest Workshop with IVN Natuureducatie & the Tiny Forest initiative. 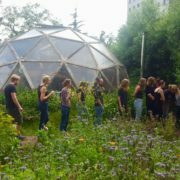 Exploring the role of urban forests for a healthy city, learning about the Tiny Forest initiative and how a Tiny Forest can be realised on your campus or in your neighbourhood. 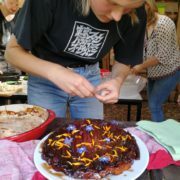 Mycelium & Mushrooms Workshop with Fungi Factory. 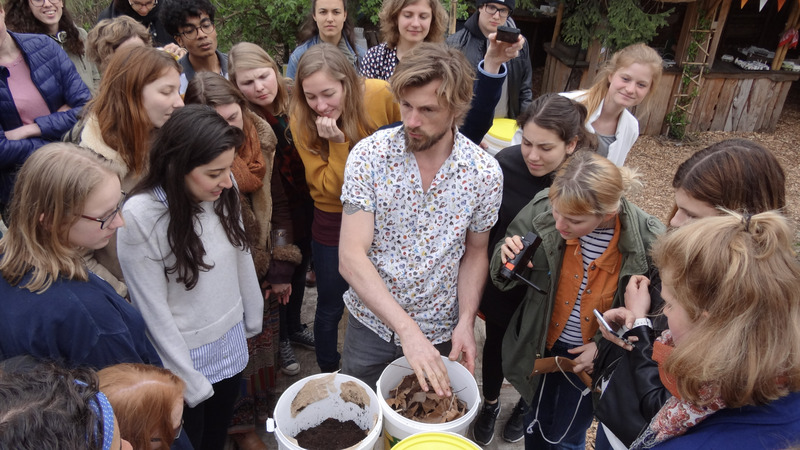 We will be paying a visit visit to the Fungi Factory to learn about the magical world of mycelium, how Fungi Factory’s circular enterprise utilises mycelium to turn waste into profit, and we’ll be challenged to grow mushrooms at home with a Fungi Factory grow-kit. 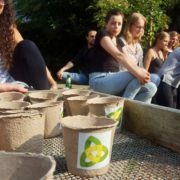 – Full Green Student Bootcamp Challenge Programme (8 sessions): €85 per student, including workshop materials. – Flexi Programme (4 sessions): €55 per student. Participation to be confirmed 2 weeks in advance of date of sessions. 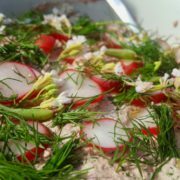 Build a worm hotel, learn how to compost your waste at home with compost worms, and how to grow healthy plants at home for food. All this in one afternoon? 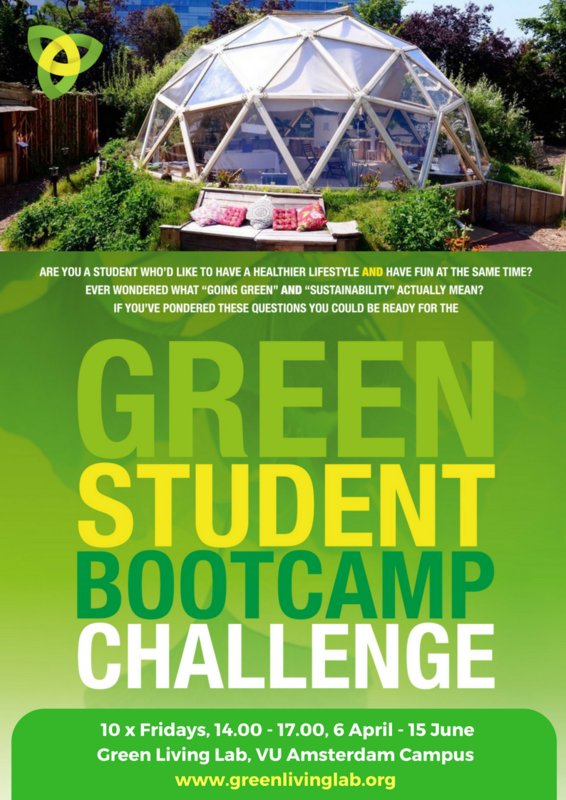 It can only be the Green Student Bootcamp Challenge! 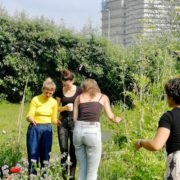 Students from all universities and colleges are welcome to join our applied learning programme to connect with nature for wellbeing, to learn how to grow and cook with veggies, make profit from waste, meet circular innovators, and explore how to live in closer harmony with the natural world in the city. See how you can participate & book your space below. 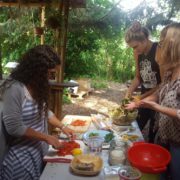 – Build a Worm Hotel for Home Composting: Learn how to turn your kitchen scraps into rich compost with a worm hotel. 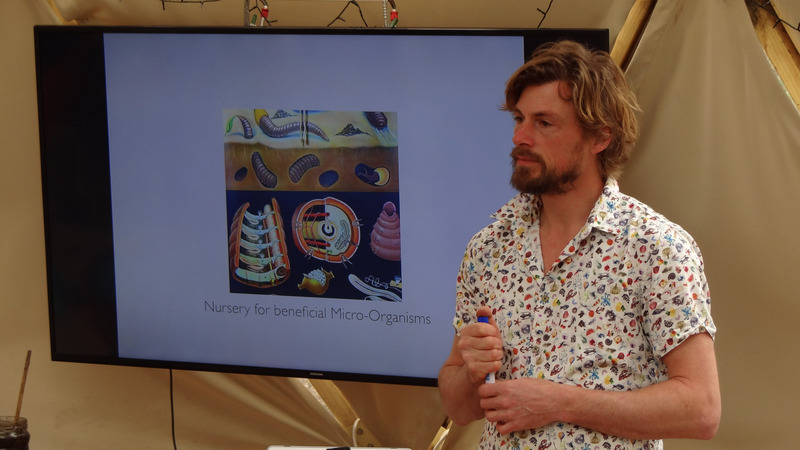 You’ll build a worm hotel, meet your new composting worm friends and bring them home to start experimenting. – Sowing Seeds. A guide to growing healthy plants at home. Sow seeds and bring them home to nurture into healthy pant babies. 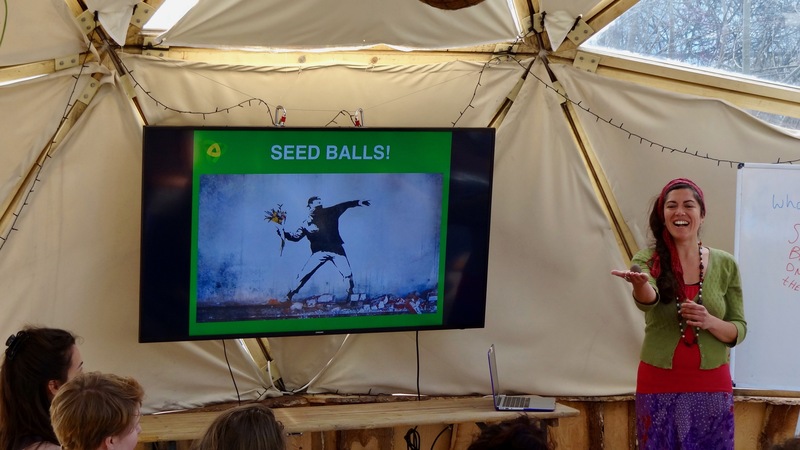 ‘Soil: Where Life Begins’, with the Green Living Lab & Commonland. 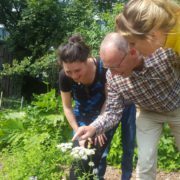 Learn about the biodiversity in the soil and how restorative solutions can reverse degradation of land and water systems, and bring back prosperity to people and planet. – Just this session: €17,50 per student. 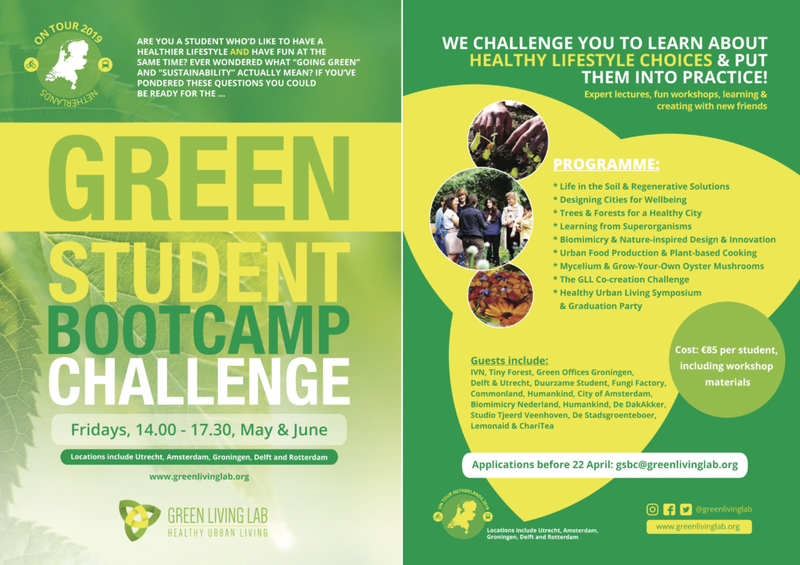 – Full Green Student Bootcamp Challenge Programme (8 sessions): €85 per student. 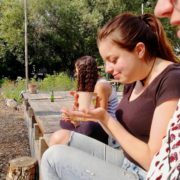 Costs include workshop materials, a healthy snack and drink. Admissions exclusively for students in the Netherlands & advance payment is required to confirm booking. http://greenlivinglab.org/wp-content/uploads/2019/04/47-DSC03684.jpg 1133 1967 GLL http://greenlivinglab.org/wp-content/uploads/2016/02/logo_340-01-01.png GLL2019-05-03 14:00:002019-04-23 21:09:05Green Student Bootcamp Challenge: Learn to Compost with Worms & Grow Food!